It is indeed a classy and stylish design, with vibrant glossy black and white combination. 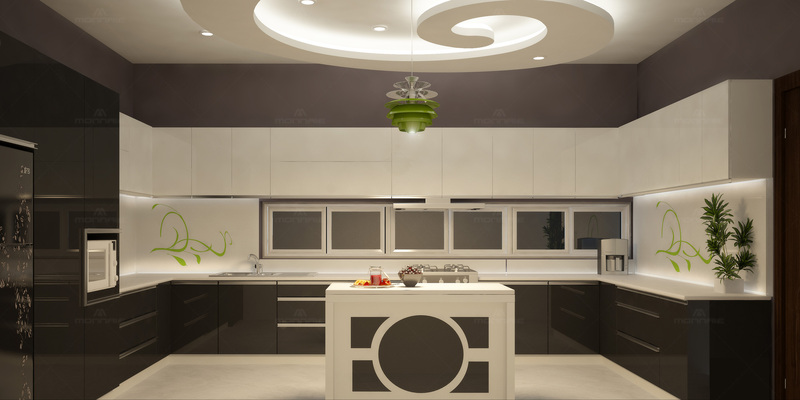 This kitchen exhibits the beauty of modern day home design ideas. It provides clean spacious ambiance in the space. The spot lights, and ceiling matches the floor tile giving a rich look. All utilities are well balanced and placed so as to give a neat look.